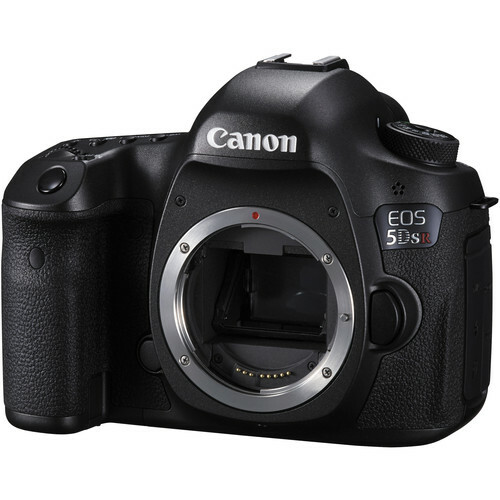 The new Canon 5DS cameras have 50 megapixel resolution. That ought to up the ante for landscapes and fashion photographers. There have been a couple new cameras in the news lately. For Canon shooters, the new 5DS and 5DS R models deliver 50-megapixel (8688 x 5792 pixel) full-frame (36x24mm) images. I know many Canon shooters who have been waiting for something to get them over the 20 megapixel barrier, and these two cameras should do the trick. Canon is doing something similar to what Nikon did with the D800/e variants. The “R” model uses a software cancellation trick to eliminate the effect of the optical low-pass (anti-aliasing) filter. Both models are expected to be shipping by June 2015. My take: I know many Canon shooters who have switched to the Sony system not necessarily because they wanted a mirrorless camera, but because they wanted to use their L-glass on a 36MP camera. With the aggressive price points of the 5DS (under $4k), the competition just got going again between Nikon and Canon. I’m very interested in seeing how well Canon has done increasing the dynamic range of their sensors, which has been fairly stagnant for the last few years. Nikon also announced a new D810 variant for astrophotography, the D810A. This camera has the same sensor as the normal D810 (36MP), but offers a different kind of filter over the sensor; one with an Infrared cut filter. The idea here is to allow for better astrophotographic captures of nebulae, as the filter lets these unique wavelengths of light (H-alpha reds) through (see image samples from Nikon). The D810A also offers more flexibility in manual exposure for capturing long exposures (you can set times up to 15 minutes). My take: This camera is a specialty item, designed for amateur and professional astronomers. The new camera offers great features for astronomy, but it isn’t at all suited for general-purpose work. I think it’s great that Nikon has the resources to release a camera such as this, because it means that they are doing well enough elsewhere to warrant the production of a specialty camera. But man, I still hope to see a 20+MP camera capable of 8fps for my birding work!